Aussie motor racing legend and Rare Spares ambassador John Bowe is certainly well versed in two special Australian motor races, The Bathurst 1000 and the Bathurst 12 Hour. Bowe has spent 30 years venturing to Mount Panorama, completing more laps around the circuit than most and winning ‘The Great Race’ twice and the Bathurst 12 Hour on three occasions. John recalls his first time racing at the Bathurst 1000 at Mount Panorama in 1985, which was a Volvo 240T from New Zealand he drove with Robbie Francevic. The Bathurst 12 hour was originally created for series production cars to showcase their abilities in racing to the general public who were able to purchase something nearly identical from the showroom floor, which includes the GT spec cars that are available to buy in race format. The event ran for a few years in the early 1990’s however was discontinued until 2007 when it was revived. It was in 2011 that the event introduced GT cars, adding a more professional level of competition and opening up the event to international teams that had GT spec machinery. The Bathurst 1000 is still the centrepiece of the motor sport calendar in Australia but that doesn’t mean both events can’t co-exist nicely as two separate style events. 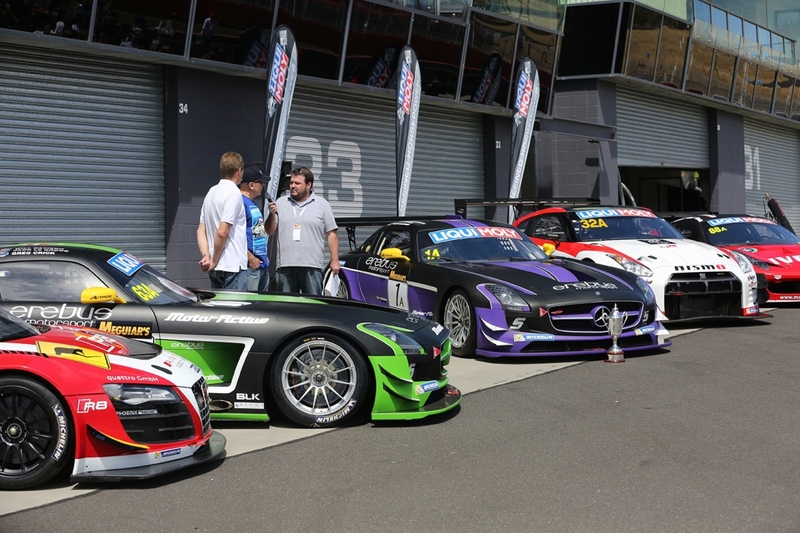 With the Bathurst 12 Hour gaining momentum, a stable naming rights sponsor and a healthy field with increasing numbers of international teams heading across the world for the event, some believe the B12H is a threat to the Bathurst 1000. However Bowe doesn’t see it that way. In terms of driving the two events, both are physically and mentally challenging and take an immense amount of concentration over a long period. The Bathurst 1000 consists of the main driver, with a co-driver allocated to share driving duties. The B12H regulations allow up to 4 drivers per car, with a mix of professional and amateur drives being the requirement. “We are attracting huge names now in the Bathurst 12 hour. This year, I teamed up with ex Formula One driver Mika Salo as part of the Maranello Motorsport team and there is many high level drivers from around the world now taking part in the event”. Controversy erupted between the two events recently, with a date clash between the 2015 Bathurst 12 Hour and the V8 Supercar season launch/test day, ruling out a number of V8 Supercar drivers who were planning to compete. Irrespective of whether it is the Bathurst 12 Hour or the Bathurst 1000, Mount Panorama is a special place, steeped in history with countless tales of sheer heartbreak, mixed with moments of elation with success. The future of both events remain bright and having two fantastic events at Mount Panorama is a win for all motorsport enthusiasts not only in Australia, but around the world.